Most of my time these days is spent doing this. Mask making starts to spin out of control this time of year as Halloween approaches. 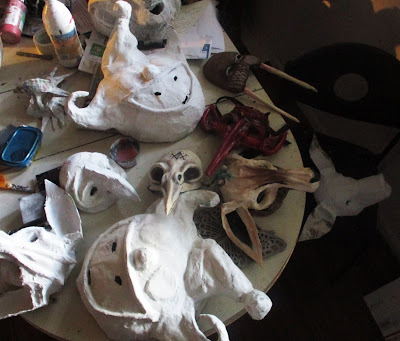 Also my teaching schedule has been pretty intense, so I've been going non stop. I was really looking forward to a break. Not this kind of break though. Unfortunately on Tuesday, during a dry spell in the storm,(Yes! A storm from Mexico hit us...It was fantastic!). We made the mistake of leaving our GPS visible from the car window and someone stole it again. The worst part about getting robbed, other than the inconvenience and glass EVERYWHERE, is the reaction of people you tell. 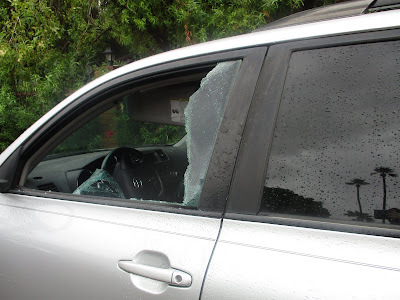 You shouldn't leave things in your car, you should insure everything, blah, blah, blah. I can't afford to insure everything I own. I do insure my car, but like always with insurance this isn't covered. Anyway it turns out some people have never been robbed, which is strange. The only place I haven't been robbed or ripped off is when I lived on a mountain in the Catskills of New York, 45 minutes from anything (even a grocery store). Of course, then we had bear troubles, which is a whole other problem. The break I was looking forward to is this. 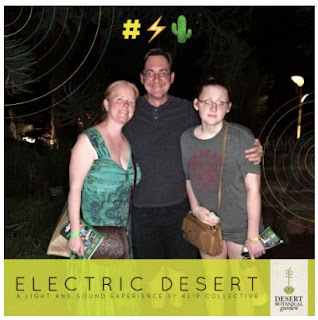 We went to the"Electric Desert" event at the Desert Botanical Gardens. 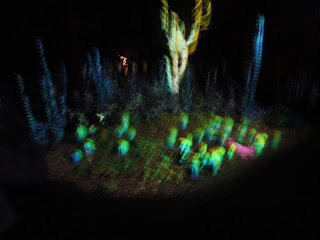 The lights on the cacti was stunning. 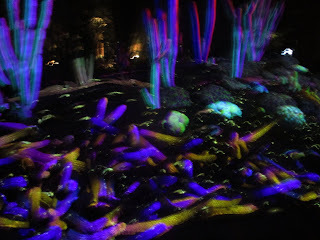 The light shows were incredible. Especially the music and light on the mountains around the gardens, but most of our photos are as clear as this one. 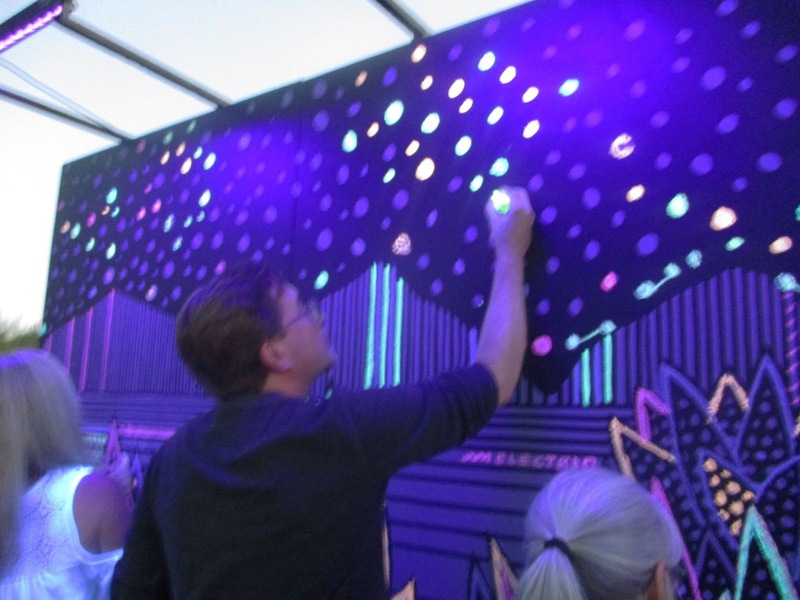 I did get this nice shot of Mike drawing on the interactive mural though. This was actually painted and designed by my friend Kyllan Maney, who is an excellent local artist. 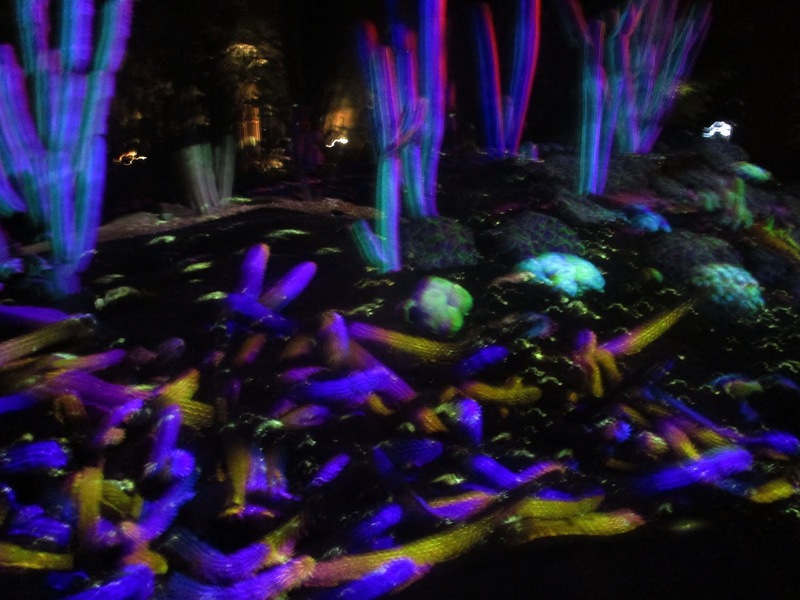 It was a pretty spectacular night and great to get away from my pile of mask orders!